Why Should Teens Have a Healthy Diet? What Is in the OneSource Ultimate Men's Multivitamins ? Calcium is an essential mineral for the health of your bones, and men may need to take a supplement if they do not get enough of it in their diet. The best supplement will give you the recommended daily amount of calcium, and it may also contain other vitamins that aid your body in absorbing the mineral. Talk to your doctor if you think you need to begin taking a calcium supplement. Getting your calcium through the foods that you eat is the best way to reach your RDA, but a supplement can benefit your body, too. Calcium helps prevent bone fractures and reduces your chances of developing osteoporosis. It maintains the strength of your teeth and also ensures that your heart, nerves and muscles function as they should. As you get older, it becomes even more important that you get enough calcium, as the mineral may help reduce your chances of developing high blood pressure and high cholesterol. Calcium supplements come in several forms, and the one that is best for you will depend on your body’s needs. The most common types of calcium supplements are calcium carbonate, calcium citrate, calcium gluconate and calcium lactate. Calcium carbonate and calcium citrate are the most popular and contain the highest concentrations of elemental calcium. Since your body needs other vitamins and minerals in order to absorb calcium, the supplements may also contain magnesium, phosphorous or vitamins D and K. Ask your doctor which ones are right for you and your health needs. Men who are between the age of 19 and 70 need 1,000 mg of calcium each day, and those who are older than 71 need 1,200 mg. The upper limit is 2,500 mg until the age of 50, when it becomes 2,000 mg. Exceeding these limits can cause health problems such as constipation, nausea, vomiting, a loss of appetite, kidney toxicity and an irregular heart rhythm. Do not add a supplement to your diet without first verifying your need for it with your health care provider. Some medical conditions cause men’s bodies to produce more calcium than others, and those who have conditions like hyperparathyroidism, kidney failure, sarcoidosis or cancer should not take a calcium supplement unless directed to do so by a physician. 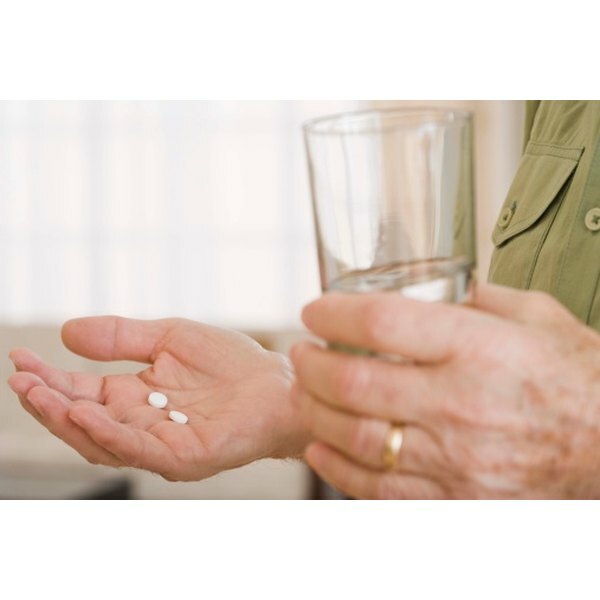 Men who are at risk for prostate cancer should not take calcium supplements either, as higher levels of this mineral may also increase your chances of developing the cancer. MayoClinic.com: Calcium Supplements -- Do Men Need Them Too?